Best Criminal Defense Attorney in Oakland County? Who is the Best Criminal Defense Attorney in Oakland County? When prospective clients meet with one of LEWIS & DICKSTEIN, P.L.L.C.’s attorneys relative to an Oakland County charge, they frequently ask, “who is the best Oakland County lawyer,” or “who is the most experienced Oakland County lawyer?” It is fair to say that this is an impossible question to answer because the opinion of who is the “greatest” or “best” is subjective. Many Oakland County lawyers may feel they are the best or claim they are the most experienced but their track record and reputation do not support that opinion. 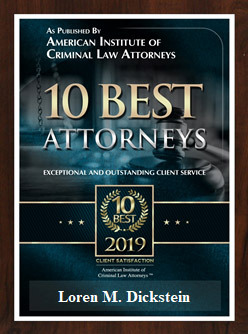 The best way to determine who is the best attorney in Oakland County, is not to consider who spends the most money to advertise, but who gets the best results and who do other attorneys, judges and the general public speak most positively about when asked for a referral to a Michigan criminal defense attorney. The answer to the question, “who is the best criminal defense attorney in Oakland County?”, can also be found by doing your research. Our firm’s lawyers do everything humanly possible to achieve a dismissal of the charges or, if that is not possible, the best possible outcome. The attorneys with LEWIS & DICKSTEIN, P.L.L.C. practice exclusively criminal defense and are the recipients of numerous awards and distinctions that take note of their unparalleled track record of successful representation in Oakland County on felony and misdemeanor cases. 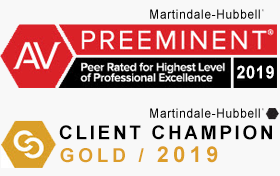 There are various rating services on the internet that provide a wealth of information about Michigan attorneys including client ratings, client feedback, attorney and judge ratings of lawyers, self-described practice areas, and much more. The Oakland County criminal defense attorneys of LEWIS & DICKSTEIN, P.L.L.C. are dedicated to the passionate, tenacious and compassionate representation of those charged with a felony or misdemeanor offense in Oakland County, Michigan. The attorneys of LEWIS & DICKSTEIN, P.L.L.C. have decades of experience in successfully defending criminal allegations in Oakland County and we are adept at handling all aspects of criminal matters from pre-charge, charge, trial, sentencing, appeal and post-conviction motions. We know that the consequences of criminal charges can be life changing in a tragic way. It is for precisely this reason that we stop at nothing in order to protect our clients from being over prosecuted, falsely prosecuted, or from being taken advantage of by a prosecutor or a judge who does not care enough to adequately consider our client’s personal situation. We put forth our best possible effort in each of our cases and our highest priority is to achieve a dismissal of all charges if possible. The level of experience, dedication and zealousness you will find with LEWIS & DICKSTEIN, P.L.L.C. is unmatched. We offer free consultations to anyone who has a charge in Oakland County or is accused of committing a crime in Oakland County. Call us at (248) 263-6800 and ask to speak to a criminal law specialist. Kindly fill out a Request for Assistance Form and an experienced criminal defense attorney will personally contact you.